May is such a fun and rewarding month, starting off with Cinco de Mayo. I love, love, love Mexican cuisine! With my IMUSA Comal and Tortilla Press, I can whip up an easy spread of Mexican delicacies in no time just like my famous turkey tacos or chicken quesadillas. Using my IMUSA Lava Stone Molcajete, guacamole sauce has become simpler to make. I enjoy all kinds of food and nothing is better than the authentic flavor. And, it’s fun when you make it yourself. 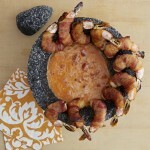 How about combining Cinco de Mayo with Mother’s Day and making it a fun and exciting day? 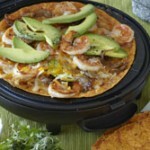 Instead of going out to eat, whip up a fun Mexican themed brunch or dinner for your mom at home. What really matters is the thought and that you tried your best. 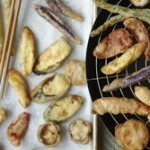 Visit www.imusaUSA.com and try some delicious and easy to make recipes. The fun doesn’t end after mother’s day. The next holiday is Memorial Day, which is the official kick-off to summer. More importantly, it’s a day of remembrance and appreciation for all those who made it possible for us to enjoy the simple pleasures in life. Make this May a month to eat, enjoy and remember! Not only does the decorative IMUSA Lava stone molcajete (also known as a mortar) look great on a table setting, but also you can use it to prepare your favorite mojito or salad dressing. Take advantage of the decorative style that the IMUSA Lava stone molcajete has by bringing it straight to the table after preparing a variety of appetizers. Crush and grind spices, and prepare salsas, and guacamole.